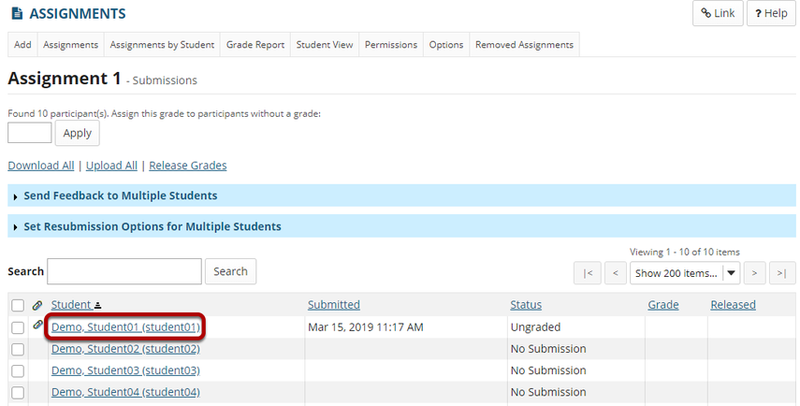 Sakai Community DocumentationSakai 19 User Guide (English) RubricsHow do I grade an assignment using a rubric? Select Grade for the assignment you want to grade. Select the student's name for the submission to be graded. The points will be added up automatically based on your rating selections. The total points earned will appear in the Grade field below the rubric. Save when finished grading the submission. 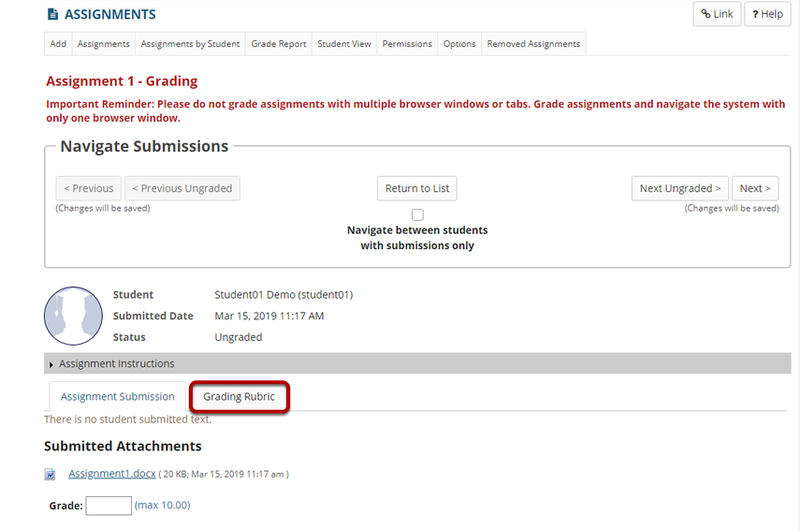 Prev: How do I add a rubric to a gradebook item? Next: How do I grade a forum topic using a rubric?